Thank you for the prompt attention given to the renewal of my AVG. I am hard of hearing and really appreciated the considerate help you gave me over the telephone. Once again, my grateful thanks for your patience and perseverance"
"Just wanted to say thanks to your team (Chris and Louie) for organising and setting up my new laptop. It has been so good to be up and running immediately again with a new machine, and there have been no hiccups from my end. Appreciate your great customer service." "Chris, the General Manager, David, made comment about the ‘young tech’ who visit the site last time. He was very impressed and said he is a credit to our (your) organisation, so please pass that on." "Hi Chris, that's some work: what a right nightmare; that improvement will definitely make everyone's life easier. Can you thank the guys for me please." "Awesome – Thanks Chris – I will keep you updated throughout the day. Thanks a lot for your attention to detail on this process, it has been fantastic!" "Hi Chris' that's great news, please pass on my thanks to Brent. P.S. I love the tidy rack!" "That is fantastic service, thank you so much! Please send the invoice through and I will arrange payment as soon as I have received it. Kind regards Joan"
"Thank you Dennis Jones for the fantastic service this week. Louie had my sick computer up and running smoothly the same day I begged for help. I truly appreciate your teams help." 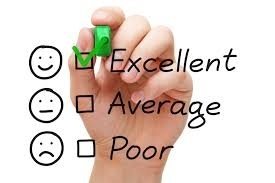 "Chris - Thank you for excellent competent remote service. Really appreciated"
"In the time that Chris Ede has been managing our IT system, he has identified issues within our system that would have incurred critical losses had our server gone down and addressed these with us immediately. As needed, he has been able to supply hardware in a very prompt way and had the equipment installed with no disruption to our company. In addition, he has offered a new phone system which will save us in excess of $6,500 annually. Chris always explains all issues in simple terms without the “computer speak” terminology and deals promptly with all issues." "Ongoing Support & Help - Big Thanks"
"As part of large US & Global company we use Computer Troubleshooters as our local techs so while all our major IT is run out of the US when we need local help in our offices we call our local Computer Troubleshooter. He deals with us and the US IT guys so we can keep our business going. It works really well and our US guys even work direct with them for new employees to get setup with their IT hardware. Works for all of us!" "We have used Computer Troubleshooters for our business for a number of years. We have found them to be reliable and professional supporting us in our time of need. We love having a real person to call who is a local, know us and knows our systems. Thanks guys." "Abuse of the sporting prowess of the Australian rugby team"
"Dennis & Judy Jones of Computer Troubleshooters Hamilton North joined our franchise group in March 1999. Since that time they have displayed business growth that has surpassed every other of our 450 Computer Troubleshooters franchisees, worldwide. They have been our Number #1 franchise in terms of sales and as an employer of staff, every year since 2001. As founders of the Computer Troubleshooters franchise team, we have consistently promoted the business of Dennis & Judy as a role model for all other franchisees to aspire to. Other franchise owners in Australia, the USA, the UK, Europe, Asia, Canada and Africa know them as the “Kiwi gurus” of the franchise. Their success may be in some small part due to our franchise but I believe that it is their drive; vision, business acumen and willingness to take a well-calculated business risk that is the cornerstone of their success. Personally they are a delight to work with, apart from their continued abuse of the sporting prowess of the Australian rugby team." "Computer Troubleshooters have been the Porter Groups off site IT support providers for seven years. During this time the Porter Group of Companies have experienced a large growth spurt and we have continually reviewed and updated our computer requirements. Computer Trouble-shooters have been an integral part of this process, they know our Companies well, and have established a good rapport and relationship with our employees, many of whom were computer illiterate before they joined our employment. The Porter Group now employs over 380 employees, Nationwide and have another 30 employees in Brisbane Australia, two thirds of which would require computer access of some form. So we are looking for simple solutions for very integrated system. Computer Troubleshooters have been able to provide this for us. Although they are very knowledgeable in their business, they know when talking to some of our staff – its plain speaking, not jargon that is required. So with this partnership we have been able to develop a computer system that runs smoothly, with the minimum of downtime – but with optimum performance. We are also impressed with the email/Internet solutions; Computer Upgrades have supplied us with CTScleanmail - our spam rate now being less than 5%. – and staff time wasting on non work related internet sites, kept to a minimum. One of the things we like about Dennis and his team is that they are a small company, but the wealth of knowledge within the company, and the networks they have means that if they do not have an answer to the problems we are experiencing at the time, they are able to find out. We also like the fact that we can establish relationship with his staff, and it’s not a different person each time – who responds to our service calls. In summary Computer Trouble shooter, have the four “P’. They are a professional progressive, proficient Company – but they have not forgotten the personal touch. We would have not hesitation in recommending them to end users." "Porter Hire Ltd has been dealing with Computer Troubleshooters since Dennis and Judy Jones took over the business. Over this time we have always found them to be an extremely professional company. They are very knowledgeable and always forthcoming with new information and services that are available, to ensure the continued running of our systems New Zealand wide. Computer Trouble Shooters offer an extremely efficient back up service with knowledgeable, obliging, friendly and patient staff. We would like to wish Computer Troubleshooters well in their venture and thank them for their continued support." "I have had the pleasure of working closely with Dennis and Judy Jones since Lyn and I purchased the New Zealand Master Franchise for Computer Troubleshooters two years ago. Since joining the franchise in 1999 Dennis and Judy have grown their Hamilton operation into the largest single territory franchise within the CTS group world wide, a mighty achievement for a New Zealand Company. Even though running a fast growing business is so demanding, somehow they always manage to make time to help and advise other franchisees, and are a source of inspiration to the whole group. We wish Dennis and Judy all the very best for their future plans and give sincere thanks for all the help and assistance given to Lyn and myself."